Warner Bros. Interactive Entertainment announced today that a new batch of free DLC for LEGO Marvel’s Avengers has been released with the Captain America: Civil War Character Pack. Based on the highly-anticipated Marvel Studios film hitting theaters on May 6, 2016, this add-on content is currently available as a free download exclusively for PlayStation 4 and PlayStation 3 players, and will debut for other consoles at a later date. 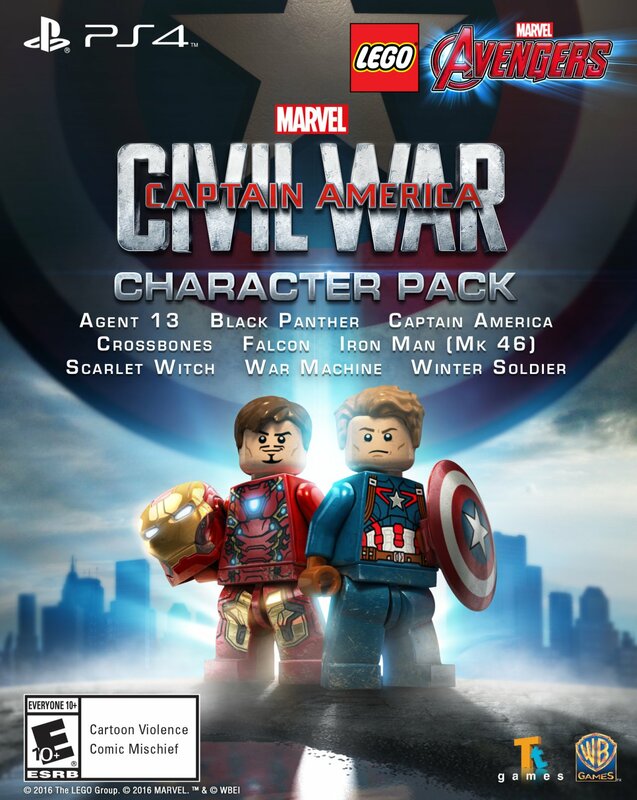 Marvel’s Captain America: Civil War Character Pack expands the game’s already impressive roster of Super Heroes, featuring nine playable characters from the highly anticipated blockbuster, including Agent 13, Black Panther, Captain America, Crossbones, Falcon, Iron Man (Mark 46), Scarlet Witch, War Machine, and Winter Soldier. The pack also debuts the Marvel Cinematic Universe character versions of Black Panther and Crossbones, with both variants appearing in a console video game for the first time. 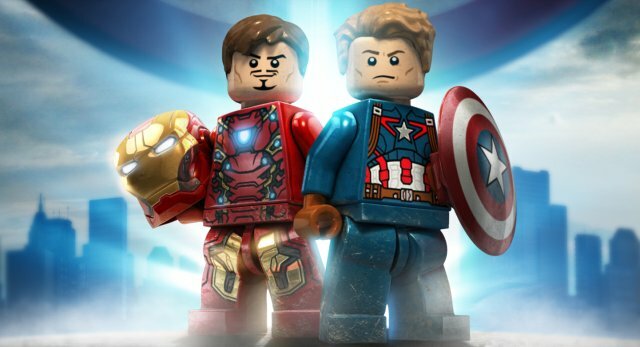 LEGO Marvel’s Avengers allows players to relive the most amazing moments from the Marvel Cinematic Universe, while also experiencing classic Avengers characters and content from acclaimed Marvel Comics. The game is available now for PlayStation 4, PlayStation 3, PlayStation Vita, Xbox One, Xbox 360, Wii U, Nintendo 3DS and Windows PC.